LEDs are an intrinsic part of modern lifestyle that thrives on the latest technology. LED lighting offers a vast variety of aesthetics in today’s marketplace to suit the wants and needs of all kinds of buyers. It is now the preferred choice when it comes to saving on expenses. The lifespan is far greater than halogen or incandescent lighting which means you won’t need to repeatedly change over globes. They also can save you up to 85% off your lighting electricity bill! This has made it the choice of smart customers everywhere. For many customers, this might not be a familiar topic and there is a lot one needs to know before purchasing the same. The write up below will help you with all you need to know about LEDs before purchasing. LEDs are known to have variety in their characteristics and they can differ in the amount of electricity they consume. After its installation by an electrician in Melbourne, if a customer still remains unhappy with the performance of the LED bulb, they can request a replacement or refund from the store that it was purchased from. If the problem isn’t resolved and the problem still persists, they can seek help from the Australian Competition and Consumer Commission to discuss any other options that might resolve the problem. Quality LED globes are just as bright, if not brighter than halogen globes! But they also can consume 85% electricity while doing so! This can save huge amounts on your electricity bill. LED bulbs have a longer lifespan (maximum of 50,000 hours) than halogen bulbs (that have a life of maximum 4000 hours) and CFL bulbs (that have a maximum life of 6000 hours). Investing in LED lighting can be more expensive as compared to CFL or halogen globes, however with its longer life which does not need to be replaced as often as other globes, it is a smart choice to save on electricity and the cost to purchase a new globe reguarly. Like any other electrical appliance, it is important to choose the right light for the right application. This means we need to think about the size, lighting output (lumens) tone of colour etc. Safety is one of the most important concerns during any electronic purchase. 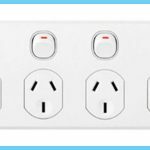 Buying LED lights over the internet can sometimes be risky, especially if the product has not met the Australian standards. Even though you can buy lighting over the internet, we strongly recommend a lighting shop or even consulting your electrician. Electricians have extensive industry experience and will be able to provide you with the right light for the right application. Most LED downlights will last a maximum of 50,000 hours! Rather than going down the path of halogen globes or CFL globes, they can last over 5 times longer consume up to 85% less power. Good quality LED lights will come with a warranty guarantee. This will give you peace of mind knowing that you are buying a quality product that is built to last. At Lexity, the downlights we install come with a 7 year warranty! This is always a good sign that your purchase is a worthy investment as the manufacturer is safeguarding your consumer rights according to the law. A product can be judged by its energy efficient rating and the higher the rating the better the choice of the LED light. The rating of energy efficiency can be found on the packaging of any great LED lighting products. It is essential to know what colour temperature you want before purchasing any LED light. Led bulbs are now available in a series of shades or colour temperature to suit any type of setting. A good way to judge this is by looking out for the measurement in Kelvin (K) and remembering that warmer lights are achieved by lower number and whiter lighting tones by a higher number of Kelvin (K). 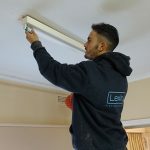 And if it is all too confusing then there are also options of LED lights that provide you with the advantage of being able to adjust the colour according to your liking, this can be a very convenient choice! CRI requirements are simple and high CRI value indicates a better value of product. CRI or colour rendering index is used to determine the clarity of colours while using the LED bulb. If you are still confused, you can always purchase a single globe and try it out to determine if the desired results can be achieved with the same. Alternatively to save hassle, you can speak to your electrician or an assistant at a lighting shop.